It’s really only a matter of time, he thinks, twirling his gun around his index finger. The girl’s moves are obvious, rote. She’s a teenager; she doesn’t know any better. She’ll reach out for the only type of protection she’s ever really known. Which means they’ll be coming. But that’s just fine, the man thinks as his badge glistening in the moonlight. Police car lights flashing just long enough for him to take an illegal U-turn. It’s fine because they don’t know the game, which means he’ll be able to set one enemy against another and buy himself some time. He can use them all for pawns. 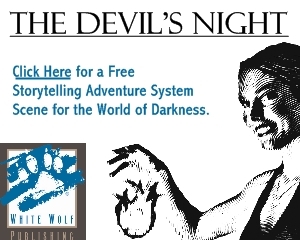 Coyote Falls contains a collection of scenes, Storyteller character records, a number of hyperlinks to various portions of the text as well as bookmarks, so you can always jump right to what you need with just a click. 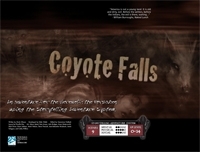 Coyote Falls is now available at the Flames Rising RPGNow Shop.